The mid-day munchies can sometimes leave you reaching for unhealthy snack choices. Get ahead of the munchies with Almond Crunchy Clusters from NOW Foods, a satisfyingly sweet snack food choice for those looking for a healthy balance of sweet and salty. In just six pieces, you'll get 5 grams of protein and 3 grams of dietary fiber, as well as calcium and iron. 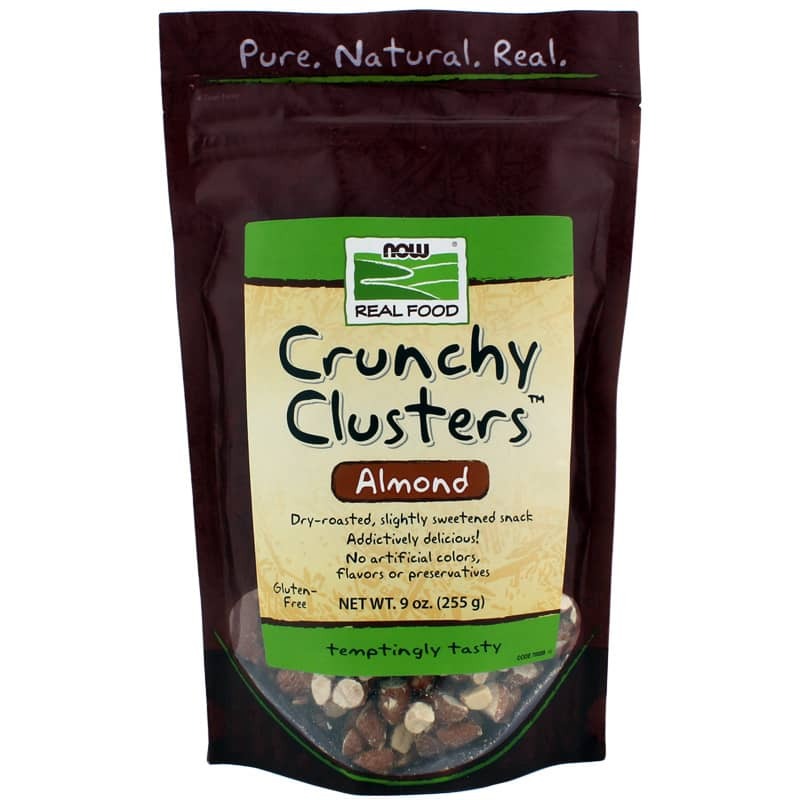 Plus, there's only 160 calories in six clusters! 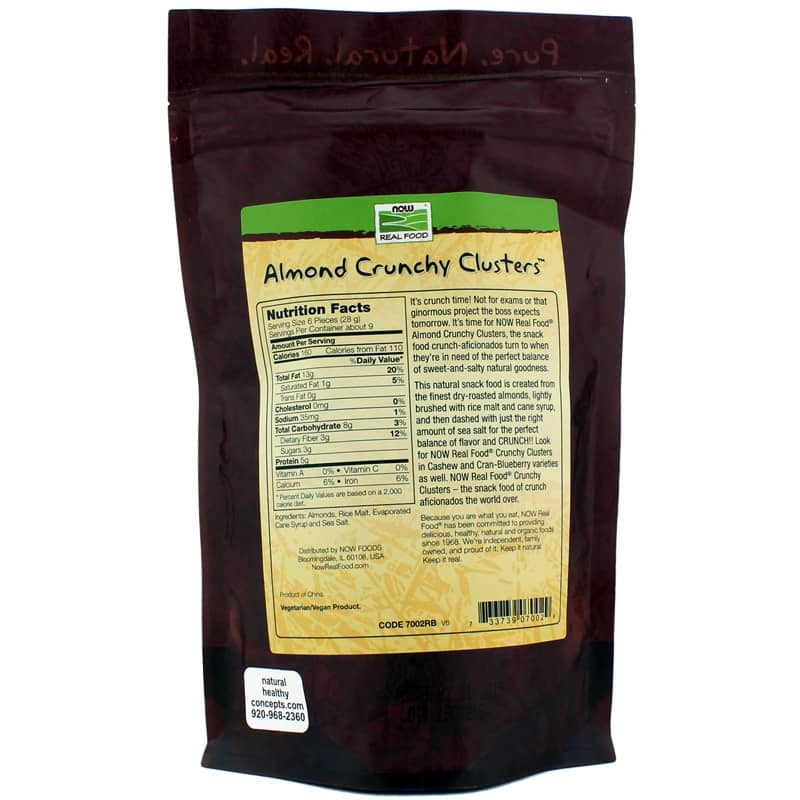 Almond Crunchy Clusters from NOW Foods have just the right amount of sweetness, sea salt, and crunchiness, and are the ideal snack for any time you're feeling the munchies. Grab a bag today and start experiencing the healthier, sweeter, crunchier side of mid-day snacking! Other Ingredients: Almonds, Rice Malt, Evaporated Cane Juice and Sea Salt.